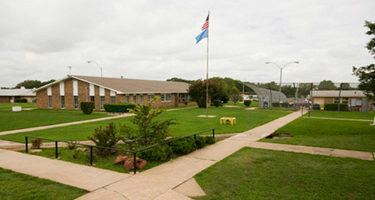 TECUMSEH, Okla. (AP) – Construction has begun on a new campus for juvenile offenders in Tecumseh that will serve as the state’s main facility for housing both boys and girls. Gov. Mary Fallin participated in a groundbreaking ceremony on Wednesday for the project that’s being built on the grounds of the old Central Oklahoma Juvenile Facility. Tecumseh is Fallin’s hometown. Fallin’s office said in a news release that funding for the project comes from savings the agency will achieve by consolidating its operations. The Legislature in 2017 authorized up to $45 million in bonds, and the project is scheduled to be completed in 2020.